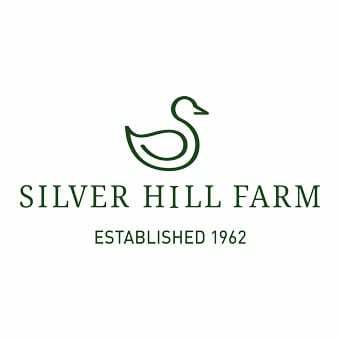 Silver Hill Farm is a fully integrated family owned duck company, founded over 50 years ago by Ronnie and Lyla Steele in Emyvale, Co. Monaghan. The present Managing Director is their son Stuart Steele. All aspects of our duck production are owned and controlled by Silver Hill Farm from breeding, egg production, hatching and selection to processing and cooking. The success of Silver Hill Farm lies in the unique Silver Hill Hybrid duck. Continually developed over the years, to produce a duck that is full of flavour, succulent, tender and consistent in its quality. This breed is exclusive to Silver Hill Farm. Simply click here to view the range of Silver Hill products available through Pallas Foods.